On the 11-12 December an important working conference was held in Pamplona, Spain, which developed and agreed the Pamplona Declaration for a pro-active exit strategy from the crisis delivering on social inclusion. The event was organized by EAPN Spain, the University (public) of Navarre, UNESCO, FOESSA Foundation and the research group ALTER and attracted more that 200 participants from third sector, NGOs, national, regional and local authorities, and academic institutions The declaration was aimed at the Spanish government as it takes the helm of the Spanish Presidency on the the1st December at the launch of 2010, the EU Year combating poverty and social exclusion but also to regional, local government and other actors. 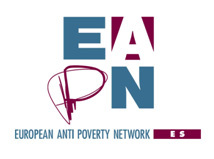 Key speakers included Joan Subirats, Doctor of Political Science in the Autonomous University of Barcelona, Victor Renes, head of studies for Caritas, Carlos Susias EAPN ES President and Sian Jones, EAPN Europe. The conference ended with a presentation of the Declaration to Juan Carlos Mato Gomez, Director General of Social Policy, Family and Children of the Health and Social Affairs Ministry.